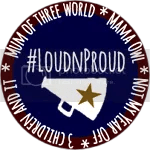 Come back Peter, come back Paul…how to survive life with your Boomerang Kid.. – Hello empty nest… I've been expecting you! So how did this happen? – We stood forlorn in the empty nest only yesterday, it seems, got over it and wrote our empty-bucket list when suddenly – bang! The Boomerang Kid, or recent graduate is back home ‘just until they’ve found a job and somewhere to live’. Result: shoes and coats all over the house, washing machine full of single items of clothing which just had to be washed but somehow are never unloaded. In any case, she is far enough away not to hurt me if she reads this 🙂 . Beekay graduated and decided to defer getting her foot on the career ladder by taking a gap year. As this was not going to be funded by daddy, she did some waitressing and a lot of call center work in customer service for a utility company – lots of angry builders/homeowners shouting at her – it nearly broke her. But it paid the bills. And now she is on the other side of the world! Looking at the statistics, half of us who became parents in the 1990s are looking at the prospect of having a Boomerang Kid live with us after study/training: in 2013 49% of 20 – 24 year-olds (up from 42% in 2 years) were living at home, and 21% of 25 – 29 year-olds according to The Guardian. There is a horrible statistic going all the way up to 34 year-olds, but let’s not even go there. The reasons? Simple: rents and mortgage criteria have gone up up UP! A large chunk of graduates (21%) get their first taste of employment in London . A quick calculation of how much it would cost to live in London (rent, bills, food) without any extras apart from an Oyster Card comes up to £23,000 if you are sharing a room – £29,000 for a flatshare. Even if the average graduate salary is allegedly £28,000 (really?) (BBC – Graduate salaries 2015), it’s easy to see how it makes financial sense to earn some money first, move into rental later. And buying a property? Our kids have to earn £45k according to latest figures in the Daily Telegraph to buy their first pad. I’m not an economist who can speculate how all this affects the housing market, so I’ll just reflect on the impact the reality of this rising phenomenon of the Boomerang Kid has on us not-so-empty-nesters. Anecdotal evidence from parents of Boomerang Kids is hugely varied, although most admit there are challenges, along the lines of: “I’m an adult now, so please treat me like one, but can you make that dental appointment for me because I’m going out now?” What most parents find mildly irritating is that after a spell of enjoying a neat and orderly house (or just less messy in my case) the mess walks back through the door with the degree scroll. If you can limit it to their bedroom – congratulations! And: how do you do it? We certainly noticed a spread of Beekay’s items: a little hairstyling corner set up in her sister’s bedroom, towels left to ‘dry’ up the banisters, a selection of shoes in the porch…slowly but surely the house felt like a maximum convenience changing room for our eldest. But I’m really not the tidiest person in the world, so it was quite hard to argue on that basis, as clever graduates will quickly point out my selection of dog walking shoes in the porch next to her brogues…. Food is another friction point. I have no idea what they teach at universities these days, but from what I can gather, most students come back as nutritionist experts on some level, striding towards your fridge and telling you about all the unhealthy food you buy. Milk! Bread! Spaghetti Bolognaise! Are we trying to kill them??? Somehow the degree turns them protein mad, requesting a constant flow of chicken/steak/prawn based meals. I even caved in and invested heavily in a new blender, experimented with kale-smoothies. Only once. Seriously, I know there are dozens of instagram pages with girls drinking ‘delicious’ kale smoothies, but I fear their idea of delicious is only shared by koala bears. Then there is the issue of timing meals. 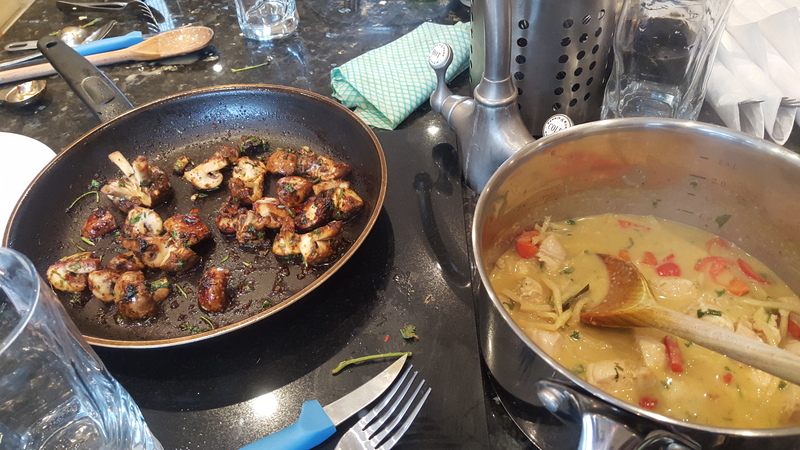 I accept that we are unlikely to eat together as a family of 3 adults with varying schedules, so the logical thing to do would be to fill the fridge, cook for my husband and I as per usual, keep any leftovers in the fridge and let Beekay get creative and ‘nutritious’ in the kitchen on her own time. Unfortunately logic is battling with the maternal need to provide and nurture in this instance, a battle which I have lost so far. Will try harder to chill near the fridge, forgive the pun. Money! Makes the world go round and family relations tense. There is an urban myth of a couple who sold their house as soon as their eldest child left for uni, spent their children’s inheritance by going on a travel gap year themselves and moved into a 2 bedroom semi afterwards to discourage any kind of boomerang moves. The rest of us who are having their kids move back in are facing a dilemma: do we charge rent for that room (which we easily could by taking in a lodger) and thereby delay the point when the boomerang kid may be able to pay a deposit for a rental themselves? On the one hand, any person in their 20s should learn that living anywhere costs money, but on the other hand, unless you are financially able to keep their rent money and pay it into savings for them, it means they are bound to stay with you longer. It’s also important to remember siblings in this issue: friends of ours asked for a contribution towards food from one daughter who moved back in to work near home, because the older sister had lived away from home and provided for herself straight after university. Fair is fair. We decided not to charge rent, but we’re also not giving pocket money (or top up money) like some of our more generous friends. And finally: mi casa e tu casa – not tu cueva!!! 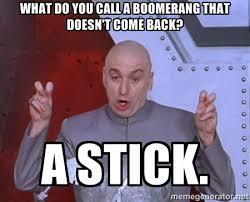 Why is any of this even an issue for us Boomerang recipients? Because, let’s face it, most of us enjoy their company as well. Personally, we’ve had some lovely one-on-one times with our eldest for the first time in a long while (possibly since her brother made an appearance 20 years ago). And she is great company for those Scandi-noir TV evenings, current affair debates, shopping trips to name but a few. It is nice to be a close witness as they are making their way in life. I have been warned! Love the last line – I feel worried and excited now, all at the same time. Thanks!! Slightly tidier home with the stick or mess again with the boomerang – I’m not really selling either option, am I?